What an excellent article! This is a best practice for VMware Fusion on OS X Leopard, and the article is laid out in a very clear and simple format. 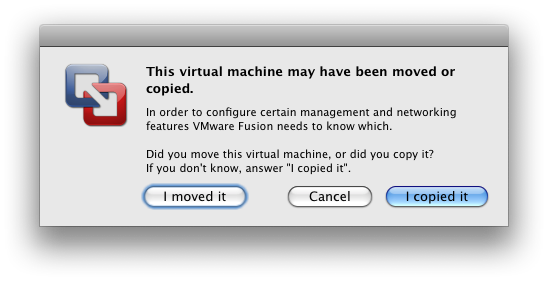 I hope you posted a link to this on the VMware forums, as it is very useful. 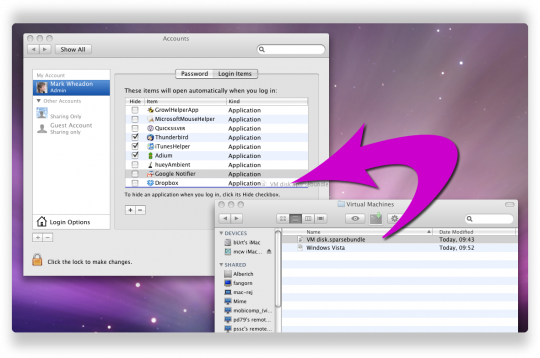 Almost everyone using a modern Mac (with OS X 10.5 Leopard or newer) is likely using Time Machine, and we all experience very lengthy backups when not using this approach. 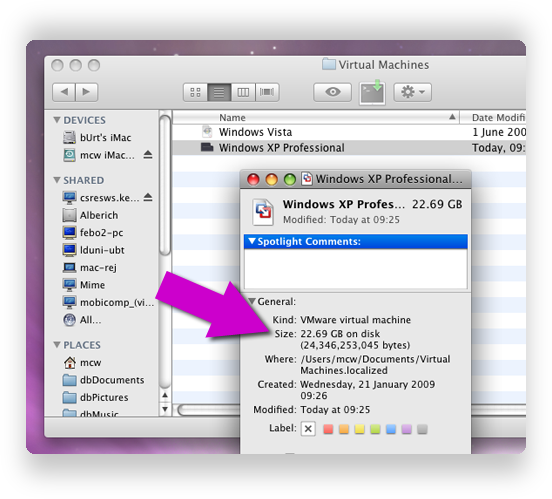 For myself, I have several virtual machines, one is my Windows XP work computer. It is nearly 80 Gb, which is a tremendous amount of desktop data to be backed up each day. Especially using a wireless connection and Time Capsule, it normally takes several hours. 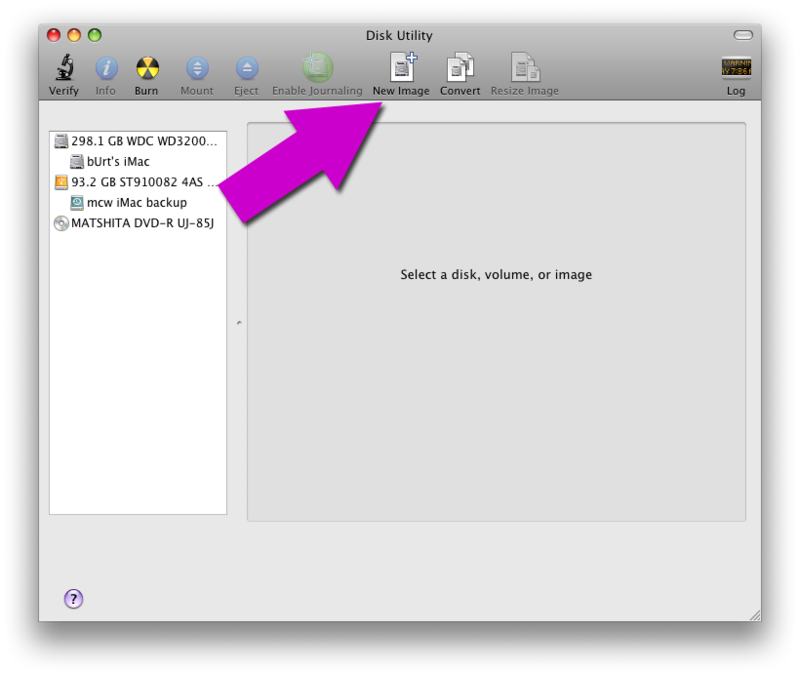 I used to exclude all VMs from being backed up using Time Machine, and instead used SuperDuper to make a clone of my drive every week or two. 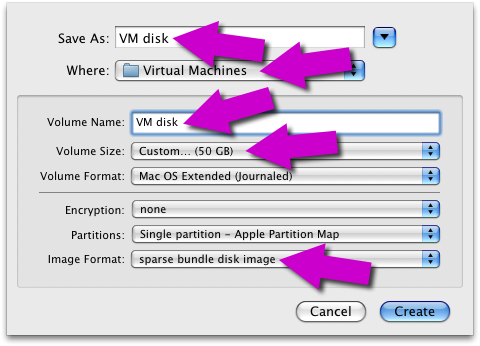 But if I forgot to do this, my VM backups would get quite old… I’ll see how much faster backups are when the VM is inside a sparsebundle using Time Machine… I am sure it will be dramatically less data transfered. Thanks for writing this. I’ve been looking for this article for months now. I was running out of patience. Thank you so much, you saved my hard disk! This works great. The only problem I am having now is that adding the sparsebundles to my login items is not mounting them on login. It was working for a while. But now I have to mount the sparsebundles every time I login. Seems like it would also work with multiple VM Instances a single sparsebundle. That would allow me to also save time with my linux instances. Mark — did you use vmware’s “use 2GB blocks” option when creating the vm on a sparesebundle, or did you forego that…seems unnecessary with the sparsebundle. Just curious how/if that would impact anything? Thanks. 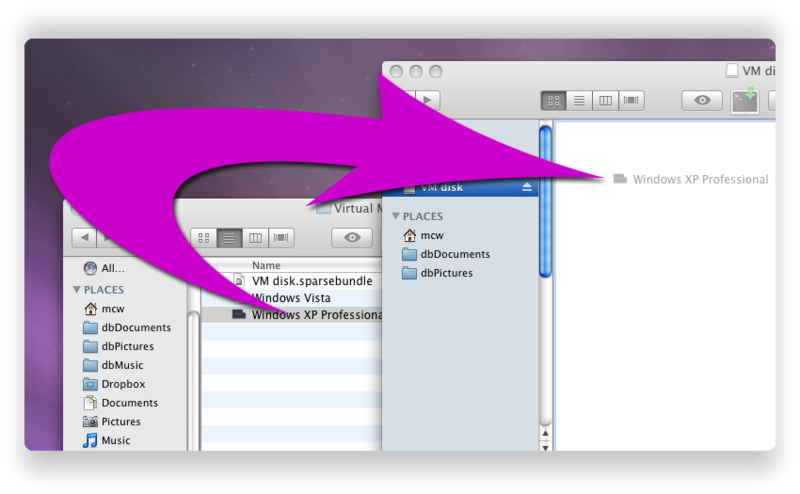 No, I just went with the default on that, so I’m not sure what the impact would be.